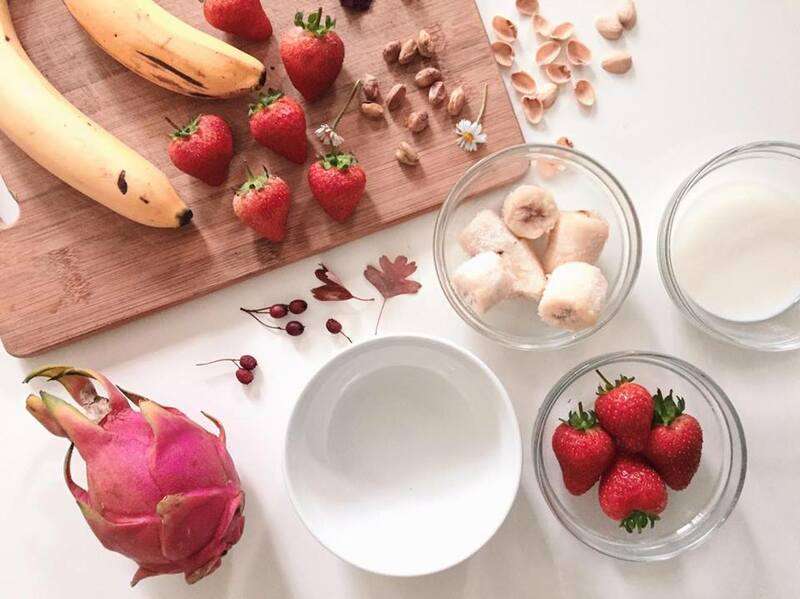 Smoothie bowls are one of the most healthy foods out there. The best part is that you can keep it simple or be super creative with it. 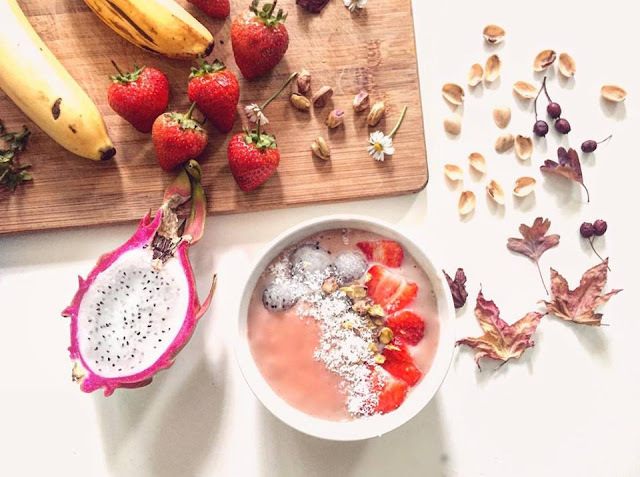 Since this is my first smoothie bowl I am writing about, we will keep it simple. I am using just three basic ingredients for the actual smoothie and the rest for garnishing. This takes about 5 minutes to make is great for breakfast or even Lunch. You can watch the entire process of making this smoothie on our facebook page in the demo video. Let's dive right into the details. The ingredients that you will need are as follows. We start by putting our milk in the blender. Remember that since we have more solids and just milk as a liquid, it is better to put the liquid first so that our smoothie can blend easily. After milk, put in the frozen bananas, strawberries and blend it until smooth. Pour it into a bowl and garnish it with shredded coconut, pistachios, dragon fruit, and strawberries. I used these three ingredients for garnishing but remember you can use whatever toppings you may like. Such as almonds, granola, bananas, etc. I have posted a demonstration video on our facebook page, showing you all the steps of making this delicious bowl of smoothie.